(a) Install a new hub bolt through the axle hub. 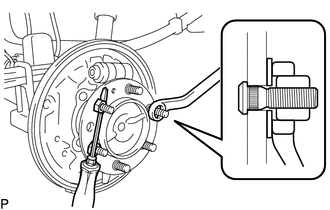 (b) Install the washer plate, as shown in the illustration, through the hub bolt, and install the hub bolt by tightening the hub nut. 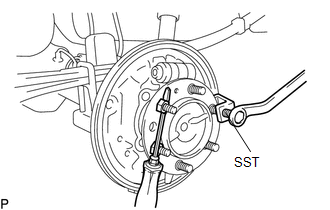 (a) Using SST, remove the hub bolt.